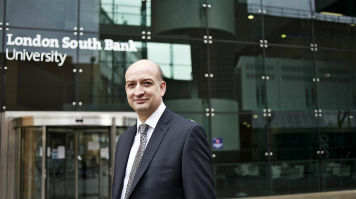 Professor David Phoenix has now commenced his role as Vice Chancellor and Chief Executive at London South Bank University (LSBU), having taken over from Professor Martin Earwicker, who retired in December 2013 after five years of service as Vice Chancellor. Professor Phoenix has joined LSBU from the University of Central Lancashire (UCLan), where he held the role of Deputy Vice Chancellor. David Longbottom, Chair of the Board of Governors at London South Bank University, said: "David brings with him a strong background in leadership within the Higher Education sector which will prove vital in realising the University's vision". Commenting on his new appointment in August 2013, Professor Phoenix said: "Like UCLan, London South Bank University has a long and distinguished history for helping people from all walks of life achieve their potential. The University has a strong focus on the student experience and employability and I am honoured to have been offered the opportunity to lead the institution into the next phase of its development." Professor Phoenix's career at UCLan spanned 21 years. In 2000 he launched UCLan's Department of Forensic and Investigative Science and in 2002 became the University's Dean of Science, overseeing the opening of a new School of Pharmacy, the re-launch of chemistry and the initial stages in the development of architecture. In 2008 he became Deputy Vice Chancellor with responsibility for strategic planning and performance across the University of Central Lancashire Group where he oversaw UCLan's inclusion in the QS World Rankings and was instrumental in creating UCLan's first overseas research institute in China as well as its new campus in Cyprus. In 2010 David was made an Officer of the Order of the British Empire in the Queen's Birthday Honours List for Services to Science and Higher Education, and his contribution to education was further recognised by the Academy of Social Sciences which awarded him the prestigious title of Academician in 2012. Professor David Phoenix is warmly welcomed as the new Vice Chancellor of the University.